This course teaches what a GIS is and what you can do with it. Working with various components of the ArcGIS platform, you will create GIS maps, explore and analyze the data behind the maps, and learn easy methods to share your maps and analysis results. By the end of the course, you will have a solid understanding of how GIS maps and ArcGIS tools are used to visualize real-world features, discover patterns, obtain information, and communicate that information to others. Individuals who do not have any prior GIS education or workplace experience with GIS. Experience with Windows-based software for basic file management and browsing is required. Quickly create and share a GIS map using ArcGIS. Find and organize geographic data and other GIS resources for a simple mapping project. 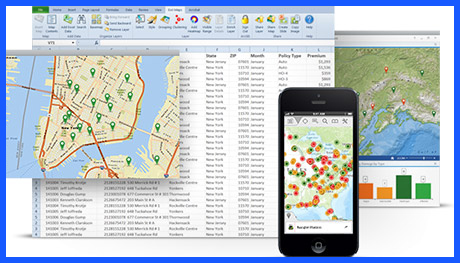 Accurately display features on a GIS map and access information about them. Share GIS maps and analysis results so they can be viewed on desktop applications, websites, and mobile devices. What is the ArcGIS platform? What can you do with a GIS?